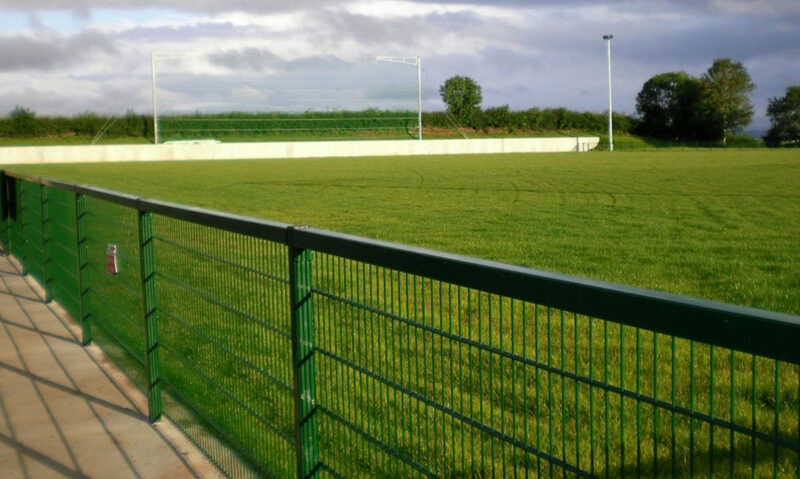 U14 Boys had a very impressive victory over Ballinascreen in the quarter-final of the championship played at Dean McGlinchey Park last Tuesday evening. In perfect playing conditions Desermartin outplayed their neighbours in all sectors of the field. Ryan McEldowney opened the Saffrons account with a point in the first minute. Ballinascreen determined to make amends for their defeat in the final of the Feile against Desermartin earlier in the season set the pace in the opening minutes and leveled immediately. They continued their siege of the visitors defence in the opening minutes and struck the upright three times in one attack before the ball went wide. 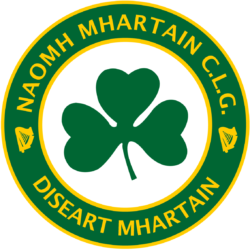 Desertmartin, a little sluggish in their play nudged ahead on the seventh minute when Lachlan Murray pointed following a good run by Ryan McEldowney. But the Screen equalised immediately. Desertmartin began to push forward breaking through the Screen half-back line and drawing frees which Fearghal Bradley neatly finished with points on the twelfth and thirteenth minutes to give visitors a two point lead. But St Colm’s hit back directly with 1-1 to go two points in front. Desertmartin unperturbed by the Screen threat had the ball in the St Colm’s net within a minute from Callum McCoy to retake the lead on the seventeenth minute. From then onto half-time with Conor Shiels driving forward from centre-halfback Desertmartin were constantly on the attack. Two pointed frees from Ferghal Bradley and points apiece from Owen Ward and Lachlan Murray extended St Martin’s lead to five points approaching the break. Desetrmartin could have been further ahead only for the excellent play of the Ballinascreen goalkeeper. At halftime Desertmartin led 1-8 to 1-3.Straight from the throw-in Ryan McEldowney had his second point of the evening for Desertmartin which was immediately followed by a goal from his mid-field partner Ryan McElhennon to give St Martins a nine point lead. But the Screen were not a spent force and rallied to pull back with a goal on the thirtieth minute. Desertmartin in full control at mid-field supplied their forwards with a constant supply of the ball which Owen Ward fully complimented with a goal following a powerful run along the endline. Ballinascreen added another point to which Conor Murtagh replied with his first point of the game for Desertmartin. Ballinascreen showing great resolve scored a goal on the thirty-sixth minute but this was matched instantly by Desertmartin with one from Ryan McEldowney. In the forty-third minute Lachlan Murray, playing at full-forward pointed to give the Saffrons a ten point lead. Ballinascreen playing as hard as they could hit a fourth goal with five minutes to play. Desertmartin playing free flowing football added further points with two from Conor Murtagh and points apiece from Callum McCoy and Ryan McEldowney. Ballinascreen completed the scoring with fifty-second minute point as Desertmartin emerged as comfortable winners 4-15 to 4-6.